This course is a special course for those workign in the water jetting industry. 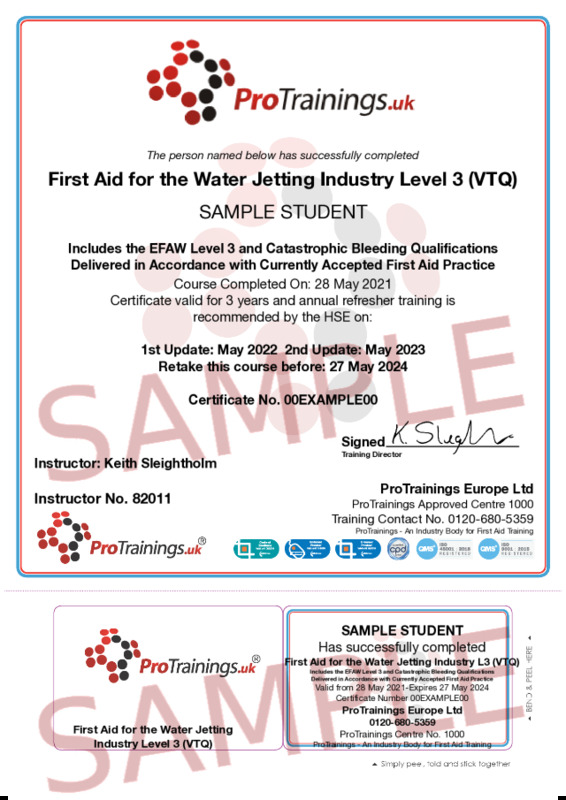 First Aid for the Water Jetting Industry or the FAW-JI is designed to meet the specificsations of the HSE FAW course and another day covering the special first aid requirements of injury from high pressure water air. Full details of the course is availabe as a PDF download, please contact us for more information. CR2 AED user manual to learn more about this unit. For more information contact us.